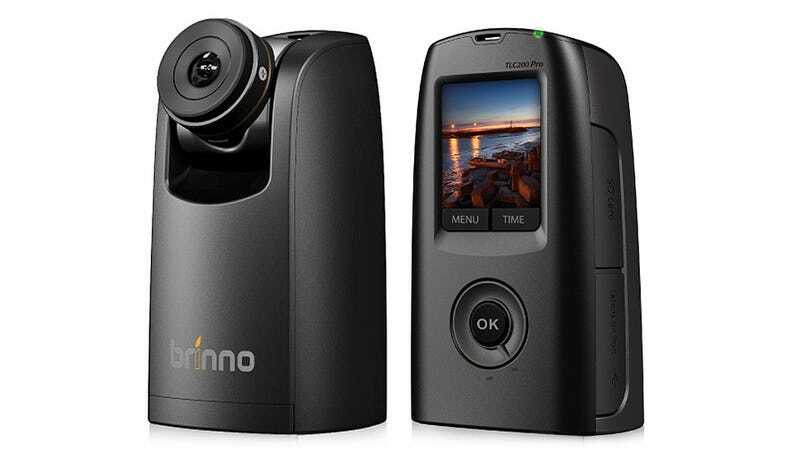 If the term intervalometer leaves you scratching your head, but you have the perfect idea for the next viral timelapse video, Brinno's here to help. The company's new TLC200 Pro makes creating timelapses as easy as using a point-and-shoot camera. And thanks to a relatively large, extra-sensitive 1/3-inch sensor, it will capture beautiful results even when left filming over night. And instead of assuming you know how to convert thousands of JPEG images into a video, the TLC200 Pro automatically compresses the timelapse into a single clip so it's easy to immediately upload. With a resolution of 1.3 megapixels we're not talking full 1080P HD quality here, but a minor step down to 720P which is more than adequate for the amateur timelapser. And on a set of four AA batteries it's promised the camera can capture up to 240,000 frames at a two second interval. Pricing for the fixed-lens version of the TLC200 was just shy of $300, but since the new Pro model allows you to swap in alternate lenses for a different field-of-view, depth-of-field, etc. you can probably expect to pay a little more of a premium once it's available.